A “driven and determined” business lending specialist is looking forward to sharing his expertise with businesses across the Midlands as the latest member of the team at a triple-award winning challenger business bank. 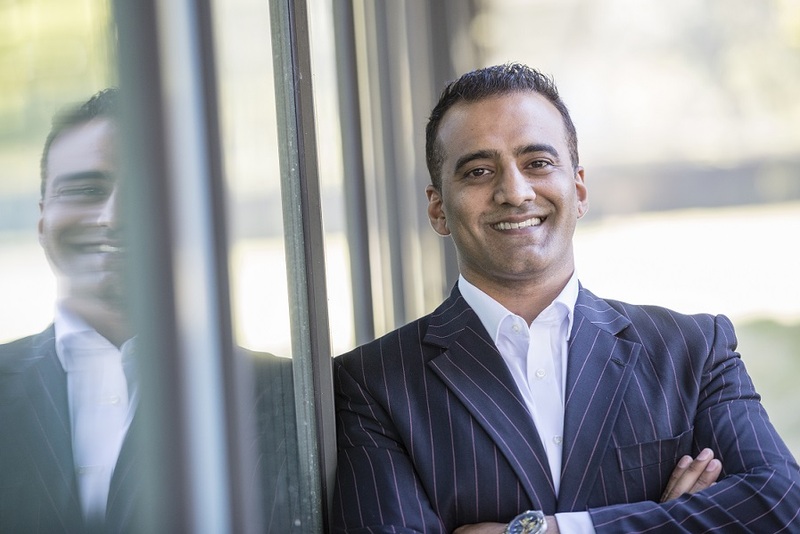 Khalid Mahmood has become the latest recruit to join Redwood Bank. With 14 years’ commercial banking experience, he has held numerous positions in High Street banking, merchant banking and the challenger/ financial technology bank sector. Khalid has been appointed as Business Development Manager, where he will be helping small to medium sized businesses (SMEs) in the Midlands expand, diversify or strengthen as a result of new lending or refinance. He follows in the footsteps of Mark Dolphin, who was recently hired as Business Development Manager, North, to strengthen the Lending team within the bank, which has experienced a large recruitment drive following a successful first 14-months of trading, now bringing the total number of employees to 57. Over the past 14 years, Khalid has worked closely with SMEs, having held general and specialist roles at Habib Bank Limited, NatWest and Atom Bank. Using his specialism in international trade finance, real estate and trading business, he has successfully managed portfolios ranging from 50 to 250 corporate clients, as well as handling lending lines up to £15 million and turnovers up to £25 million. Redwood Bank is the UK’s first business challenger bank to be completely born in the cloud. In the last three months it has scooped three award titles including Bank of the Year in the Global Business Excellence Awards and England’s Most Outstanding Commercial Mortgages Bank of the Year 2018 in Global Business Insight Magazine’s awards. Redwood Bank’s Chief Executive Officer, Gary Wilkinson, has also been identified as a CEO of the Year in the UK, representing Hertfordshire, by CEO Monthly Magazine. Gary Wilkinson, said: “I’m absolutely delighted to welcome Khalid to our team. His robust network of intermediaries across the Midlands will be a valuable asset to our customers and the bank. As we continue to develop and grow, it’s key that we have the best people on board committed to delivering a first-class service for all our business customers. Redwood Bank’s products include individually-assessed mortgages for business owners and professional landlords, as well as a range of Best Buy savings accounts offered to charities, clubs, associations and businesses.